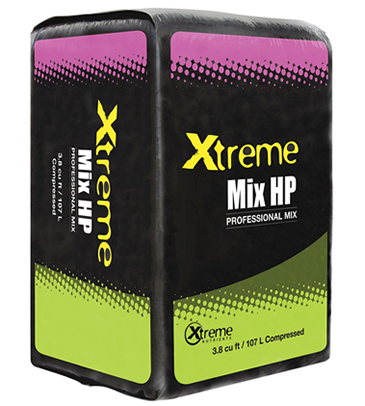 Xtreme Mix HP is a High Po-rosity Growing medium blend of selected coarse Canadian Sphagnum Peat Moss (70% / volume), Horticultural perlite (30% / volume), wetting agent,endo and ecto-mycorrhizal inoculum and a fertilizer charge.This high porosity growing medium has excellent drainage,good water holding capacity, a very good aeration and a high cation-exchange capacity (CEC). This mix was created for your plants to thrive in this enriched environment. Xtreme Professional Horticulturist. Product Features: Proven to perform well with sub-irrigation ,overhead and or drip irrigation, very lightweight.